There are myriad concerns about this 'technology,' starting with the application of one set of standards for people whose concentration levels are as diverse as their personalities. The headbands use electroencephalography (EEG) sensors to detect brain activity when the wearer is engaged in a task. The devices were worn by 10,000 schoolchildren aged 10 (to) 17 during a recent trial in China. 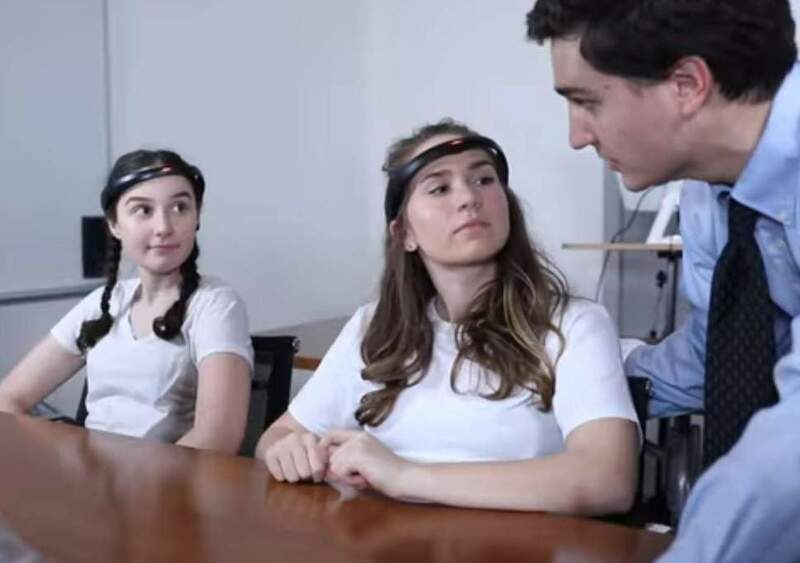 Teachers monitored pupils’ attention using an app which received information from the headbands. Lights on the front of the devices show different colors for varying concentration levels. Scientists have voiced doubts about the technology. "Any improvements were likely to be caused by the placebo effect." BrainCo founder and chief executive Bicheng Han said the trial led to improved grades among participants, who also needed to spend less time on homework. The company has signed a deal to provide 20,000 headbands to a Chinese distributor. "Our goal with the first 20,000 devices, each of which will be used by multiple students in schools, is to capture data from 1.2 million people," Mr Han. However, the China study's results have not been published in an academic journal and scientists have voiced doubts about the technology. Russell Barkley, clinical professor of psychiatry at Virginia Commonwealth University, said any improvements were likely to be caused by the placebo effect. "It’s from parents’ expectation, not the products, he said.